There are different types of laws – Federal, State and Local laws established in the United States. Every law has its own boundaries and is applicable in different manner to the citizens. The federal laws are applicable to the entire country. Every citizen of United States has to abide Federal Laws whereas the local laws and the state laws are applicable for the citizens who live in a particular state, territory, city, municipality, town or a village. 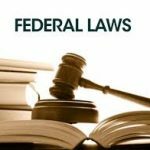 The federal laws are the laws which are formed by the federal government and brought into force by various government agencies. These laws have to be abided by all the citizens of the United States. The law includes the criminal laws – these laws deal against the crimes which take place against the government. In cases where the person is caught, he has to pay requisite fine and finish other formalities in order to get out of the federal law. The penalty includes either a long term stay or a short term stay in the prison depending on the severity of the crime conducted; this is besides the fine, the person has to pay. The state laws are passed and brought into force by the states themselves. These laws are never against the federal laws nor do they contradict them. They are just meant for one particular state and cannot be enforced all across the country. The main duty of the state government agencies is to make sure that the federal laws are not affected because of the state laws. The state laws have to be formed keeping in mind the federal laws. In case of state laws, if a person is found guilty of any criminal case, he/she gets prison sentence either for a short term or a long term along with the monetary fine which he/she has to pay. The local laws are formed by the local politicians for specific towns, villages, township and cities. These laws are generally about the parking facilities, zoning rules and many other small things. In case of any infractions the person might need to pay fine(s) but he/she do not necessarily get a prison sentence.